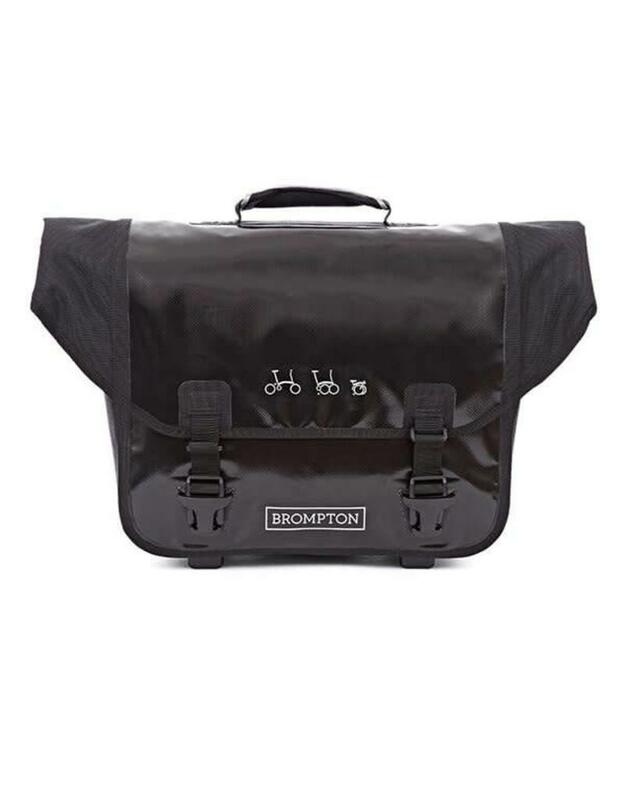 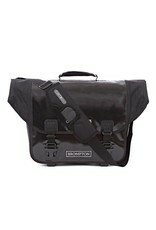 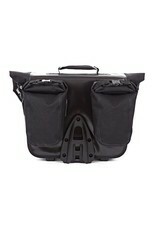 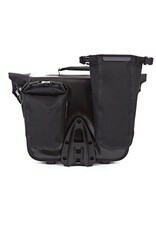 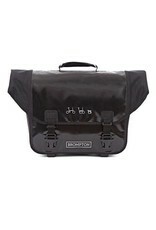 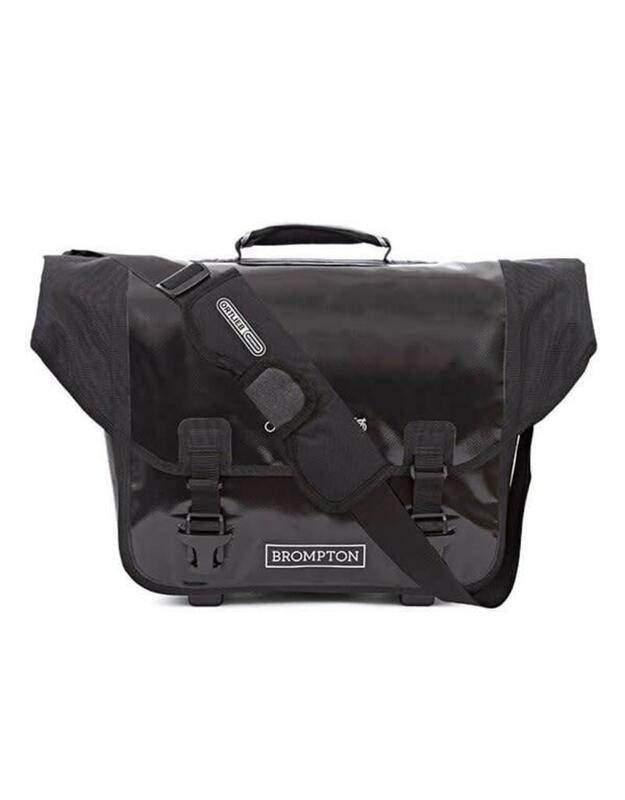 Brompton O Bag Black - J.C. Lind Bike Co. 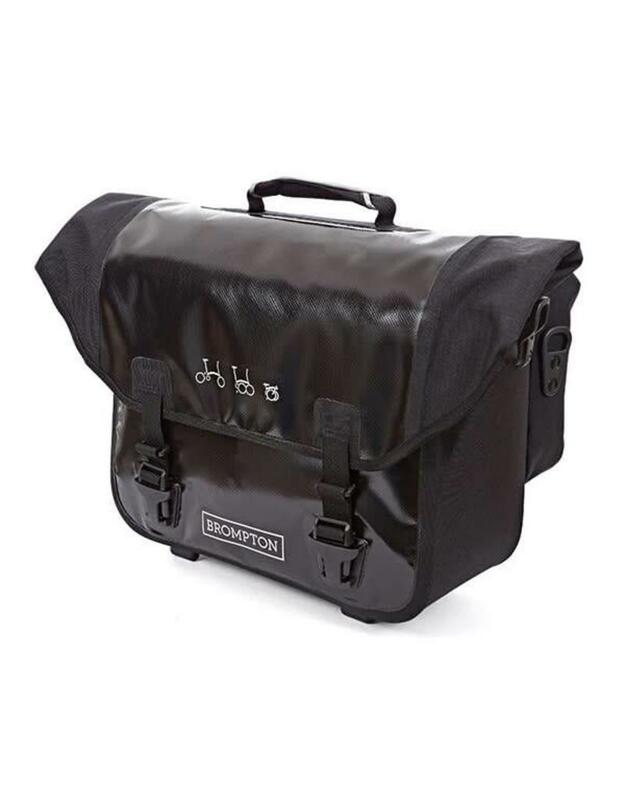 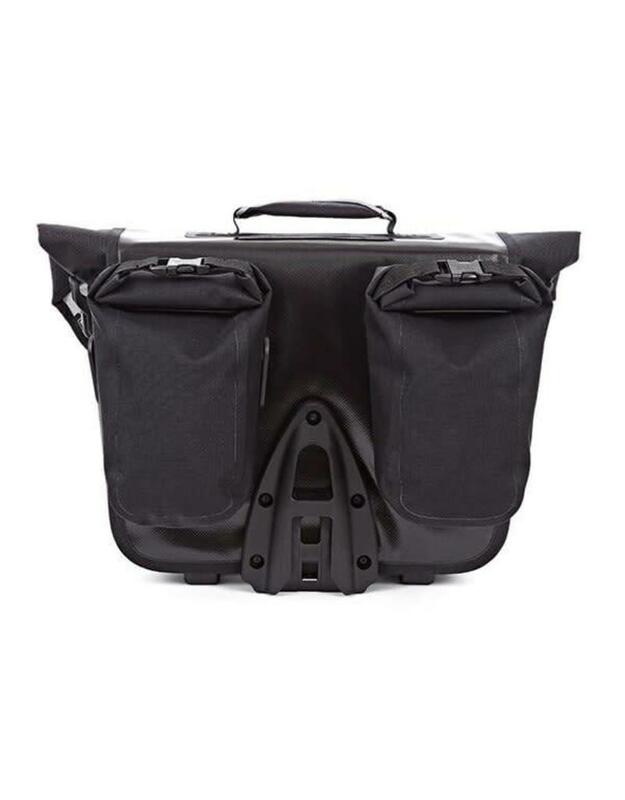 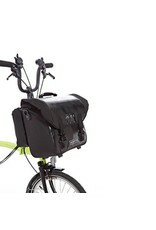 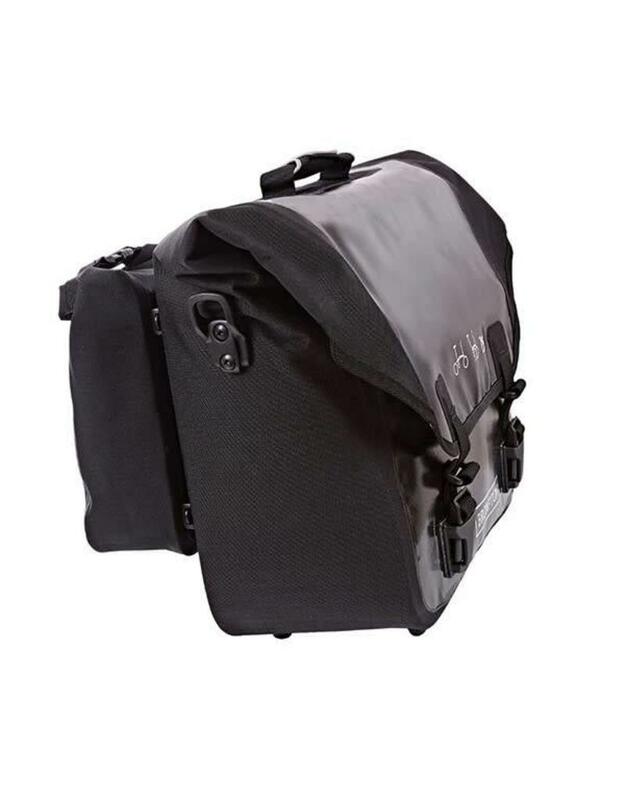 The O-Bag is distinct among the bags Brompton offers because it is made by Ortlieb, the renowned German bike bag manufacturer. 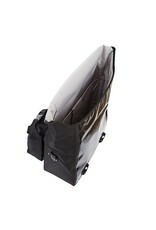 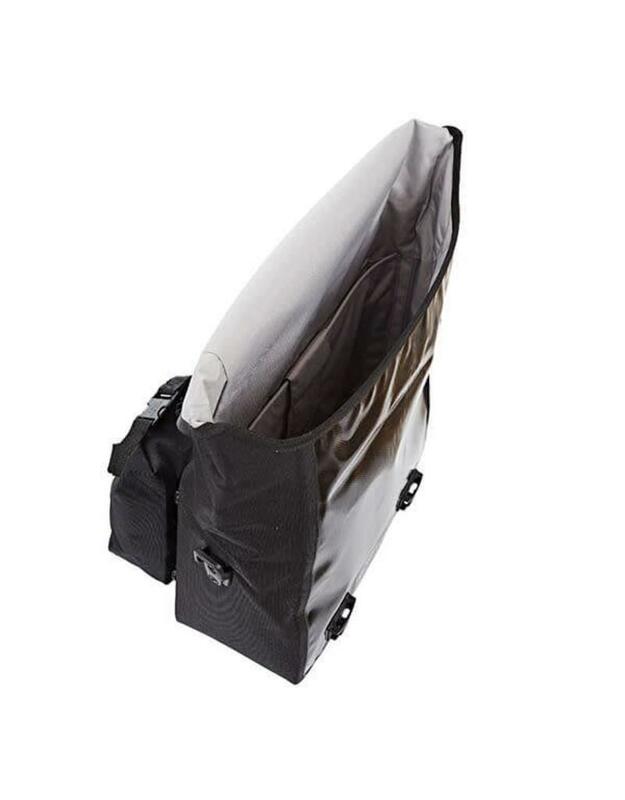 As with nearly everything Ortlieb, the O-bag is completely waterproof and incredibly durable. 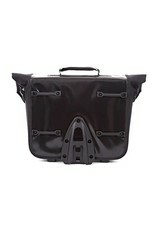 It has a 20 Liter capacity and measures 14.1" wide x 13" high x 6.7" deep. 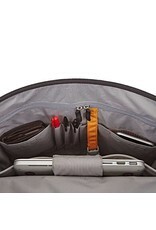 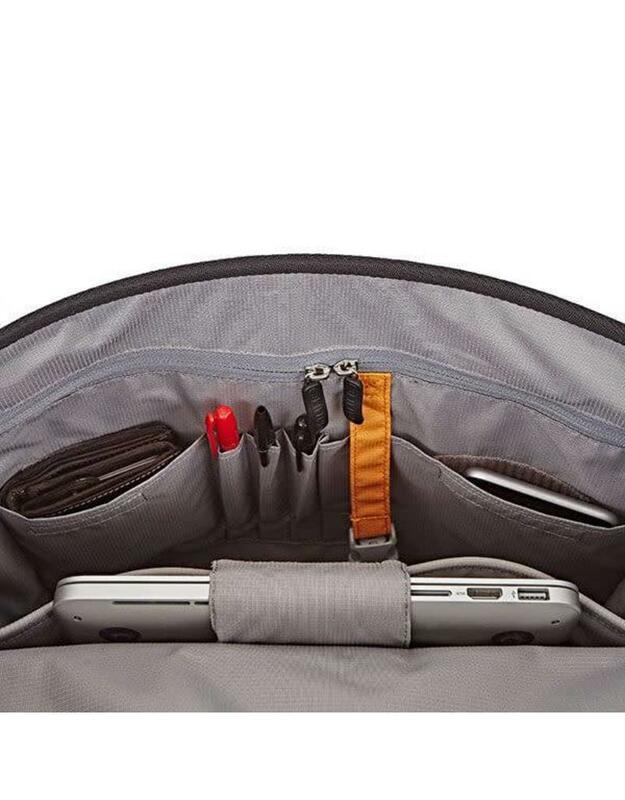 Inside the bag there's an integrated laptop sleeve, a zippered pocket, and key chain clip. The bag's design also features two optional, removable rear pockets (facing the rider). 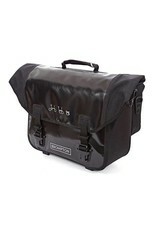 The O-bag comes with an adjustable shoulder strap, too. 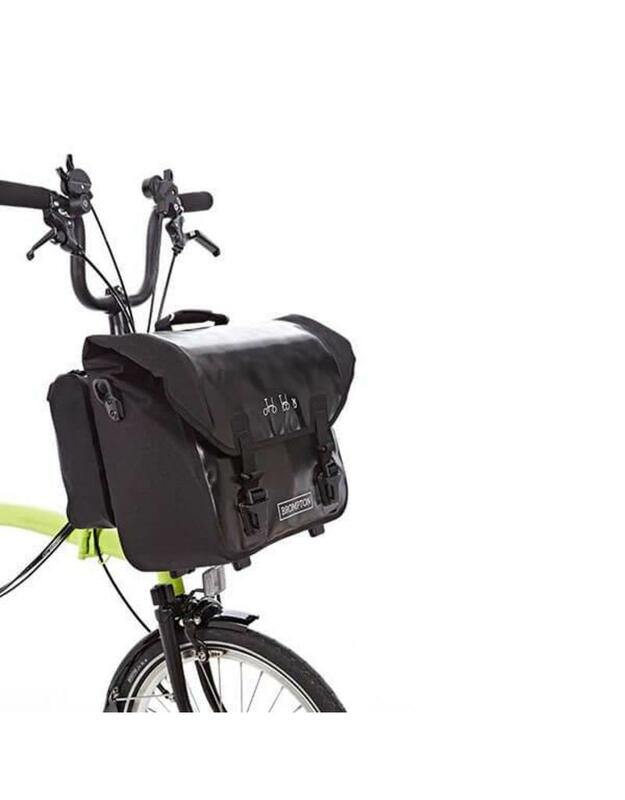 It's suitable for use with an M and H handlebar, even if it's left open and overflowing; it will work with an S-type handlebar, but only if the front flap is closed and buckled.